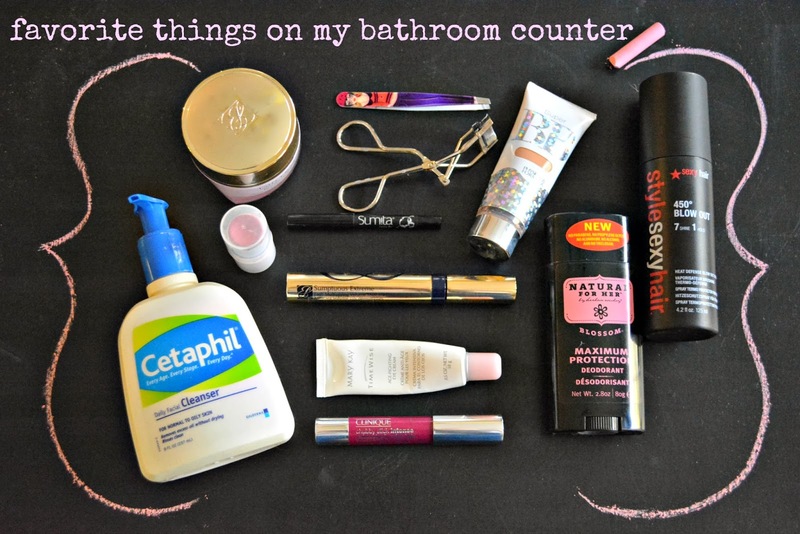 my bathroom counter is a mess. pretty much always. bottles, jars, tubes, compacts, cotton balls, ponytail holders errwhere. i like playing with makeup and bath and beauty things. the cosmetic section is my playground. i feel like i'm in a good groove right now with my beauty products. i've found new-to-me brands i like and products that fulfill their promises. and since a lot of my finds were discovered by friends' recommendations, i thought i'd pass along these recommendations here! 1. estee lauder resilience lift face & neck creme with SPF 15. yall, this stuff is sweet, luxurious nectar for the skin. i first professed my love for resilience lift on instagram, where i referred to it as liquid gold because FIRMING. stop by your nearest estee lauder counter and try a little sample on the backs of your hands. 2. cetaphil daily facial cleanser. so gentle, non-drying and non-irritating. after using cetaphil, my pores feel like they are breathing. i also like the lotion for all over moisturizing. 3. diva tweeze tweezers. i like a good pair of tweezers. my tweezer collection is quite impressive. but these are by far the best tweezers i've ever had and definitely the least expensive. i found them on clearance at the grocery store, and a few days later i found them on clearance at Hallmark- both times marked down to less than $1. almost a year later and they are still sharp and precise. these little "divas" work! and they look pretty cute on my bathroom counter, too. 4. shu uemura eyelash curler. not entirely sure how you pronounce it but i am 100% positive this is the best eyelash curler ever. 5. sumita suman contrast eye pencil. this was in a Birchbox that i got a few months ago (ps: LOVE BIRCHBOX) and is probably the only eyeliner i'll ever buy from here on out. it goes on smooth, doesn't budge, and stays on all day, yet washes off easily. i have it in black. 6. e.l.f. all over color stick. sometimes this is the only thing i use. a dab on the lips, a dibble-dab on the cheeks, a dab-dab on the eyelids and good to go. i use the pink lemonade color. i like that it makes me look like i just finished a good workout or am slightly embarrassed by a compliment. glowy. also? $1 at target. 7. estee lauder sumptuous extreme lash multipying volume mascara. the name says it all. literally the name has every perfect word i want to describe my eyelashes. this (+ #4) is good for if you like the look of lash extensions but don't want to commit to a lifetime of getting lash extension refills. 9. clinique chubby stick intense moisturizing lip colour balm. going for soft eyes and bold lip? this is the magic. it's like a fat lip liner, smooth like lipstick, moisturizing like chapstick, and the color endures. i have it in roundest raspberry, which i think they might have renamed broadest berry. good idea. 10. physicians formula super bb. i only started using this last fall when i ran out of my pressed powder and BB CREAM was all the rage. i didn't think i would like it and i felt a twinge of guilt buying it, because i'd been exclusively loyal to my pressed powder for so many years. but let me tell you, i think bb stands for miracle. it has SPF 30 and is so light. the coverage is perfect, not cakey or greasy at all. i have it in light/medium and love love love it. 11. style se*y hair 450° blow out. okay, here's the sitch on my hair. it's thick, stick-straight, and color treated. usually i just let it air dry, but sometimes i blowdry it and then i use a straightener to flatten frizz/flyaways. however, hair, meet 450° blow out. i spritz this yummy smelling solution on my damp hair before blowdrying and then i do not need the straightener at all. i'm not sure the science behind it, but somehow it makes my hair look like i just walked out of the salon. i bought 2 bottles of this and a few of their other proucts + the 450° protect, another a heat defense spray. 12. herbal cowboy blossom deodorant. we made the switch to natural deodorants years ago, and tried a variety of different brands until landing on herbal cowboy. no parabens, no propylene glycol, no aluminum, no alcohol, and no triclosan. did you even know you were putting those chemicals on your tender armpits?! this deodorant is made with leaf juice and water and extracts. it does what deodorant is supposed to do and smells like a subtle spring bouquet. not pictured but a daily staple: 1 Peter 3:3-4. don’t be concerned about the outward beauty of fancy hairstyles, expensive jewelry, or beautiful clothes. 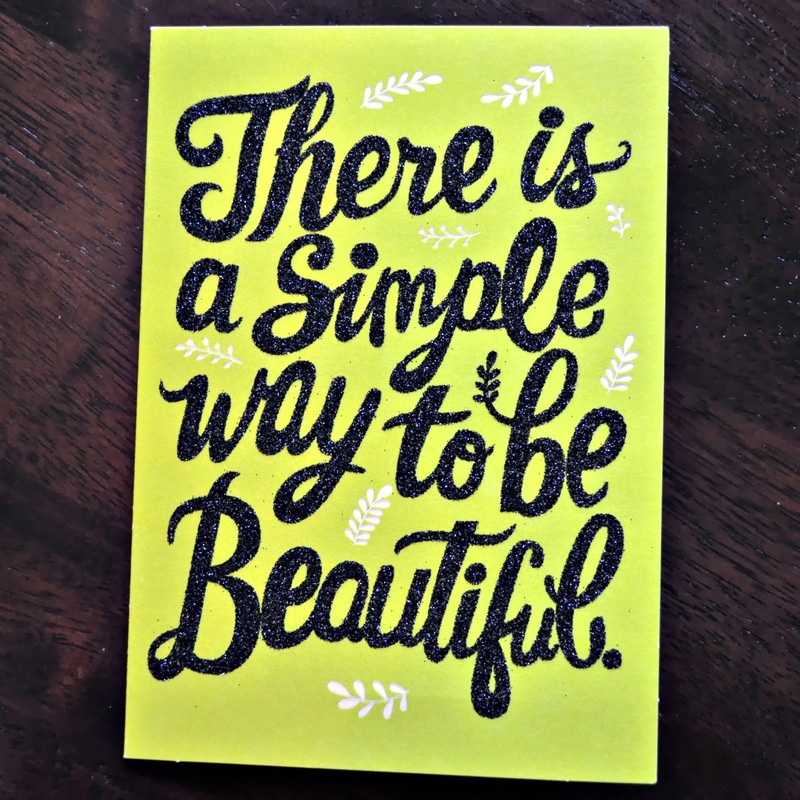 you should clothe yourselves instead with the beauty that comes from within, the unfading beauty of a gentle and quiet spirit, which is so precious to God.